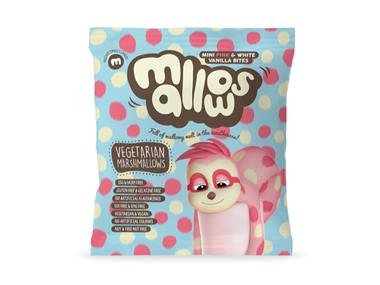 Buy Freedom Vegetarian and Vegan Marshmallows - Pink & White Bites in the UK from our online shop or directly from our independent Scottish store. Vanilla marshmallows and strawberry marshmallows, all in one bag! Vegetarian, vegan, gelatine free, gluten free and still delicious! Where can you buy real Vegan Marshmallows Mixed safely online? If you are wondering where you can buy Freedom Vegetarian and Vegan Marshmallows - Pink & White Bites safely online in the UK, then shop with us. Vegan Marshmallows Mixed - Freedom Vegetarian and Vegan Marshmallows - Pink & White Bites in Sweets and Confectionery.